JL Management's origins date back to the 1980's with the development of the mixed use "Rancho Cinema 6" office/retail shopping center featuring the first six-plex, multi screen movie theater in Cooley Ranch, Colton, CA. Since then, many properties have come and gone, but the majority of our portfolio remains in the retail shopping center asset class. While grocery anchored shopping centers remain our primary focus, we do have a few smaller specialized properties. Below is a list of our current holdings. Cal Oaks Plaza, anchored by Target, and Albertsons, is the premier shopping center in Murrieta, CA, and features diverse retail, entertainment and dining opportunities including Chipotle Mexican Grill, Auto Zone, Carl's Junior, Hallmark, Super Cuts, Starbucks, Navy Federal Credit Union, Payless Shoesource, Chili's, and Reading Cinemas, the only movie theatre in the city. 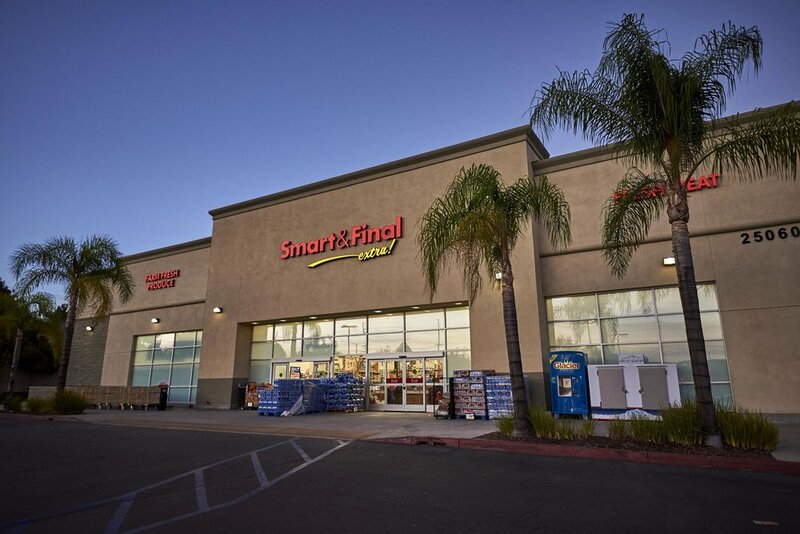 The shopping center comprises 310,400 square feet leased to 29 tenants, on 27 acres, accessible by Interstate 15. Corona Village is a high-traffic community shopping center on a main thoroughfare in Corona, CA, conveniently located in a neighborhood surrounded by extensive housing, schools, and churches. 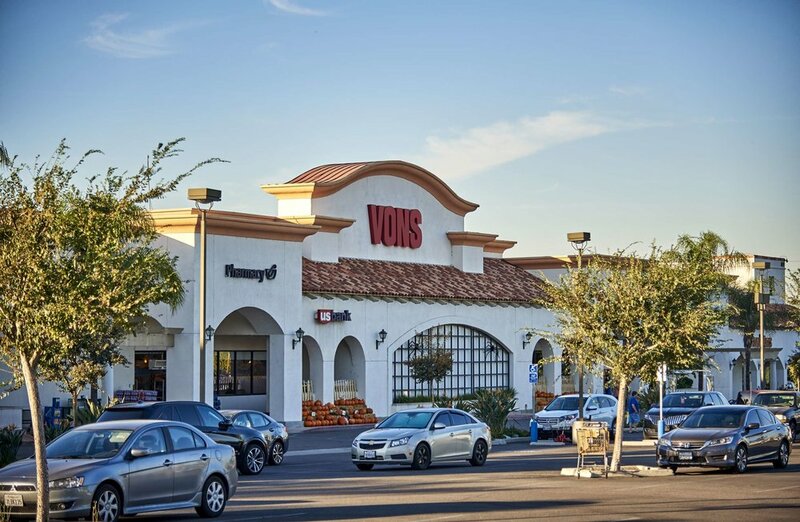 Anchored by Vons, Corona Village is home to Starbucks, Domino’s Pizza, Subway, Hobbytown USA, Leslie’s Pool Supplies, Fantastic Sam's, Wendy's, and Panda Express. The shopping center comprises 167,262 square feet leased to 32 tenants, on 20.5 acres. Taft Hills Plaza is a local favorite shopping plaza in Taft, a small town of 10,000 people in Kern County, California. Offering essential services and amenities to the community, tenants include Albertson’s, Rite Aid, Subway, AT&T, Allied Cash Advance, and Chevron Valley Credit Union. The plaza comprises approximately 100,000 square feet leased to 12 tenants, on just over 7 acres. Ash Tree Plaza is a convenient shopping plaza in Fresno, CA offering the community a variety of retail stores and restaurants, including Ross Dress For Less, Lane Bryant, Starbucks, and Plato’s Closet. The plaza comprises 80,877 square feet leased to 18 tenants. 2700 King Street enjoys tremendous visitor traffic in sunny Honolulu, HI, accessible by Interstates 25A and 24B, and directly adjacent to the University of Hawaii. 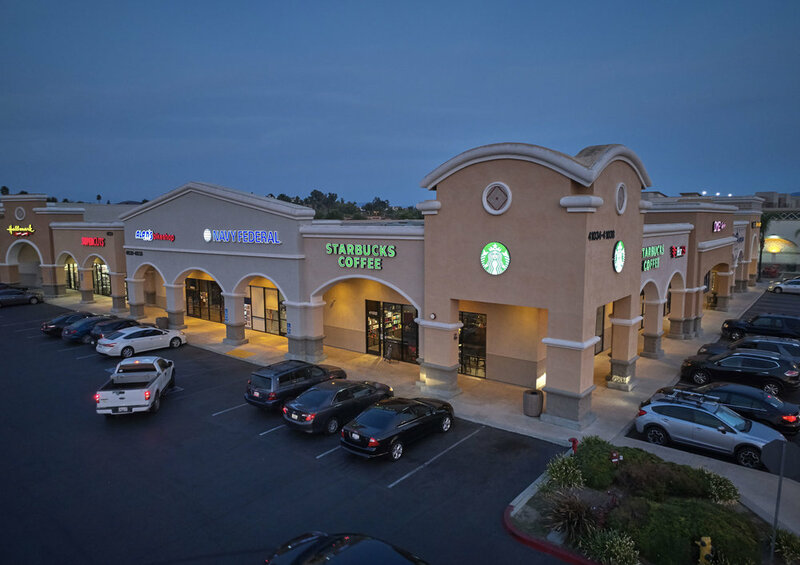 Anchored by the US Post Office, and Glazers Coffee, the shopping center comprises 18,064 square feet leased to 8 tenants. Bainbridge Business Park is a key business park on an island with a population of 25,000 with direct ferry access to downtown Seattle, WA. A creative and progressive mix of tenants include a yoga studio, a coffee roaster, a kombucha/sauerkraut manufacturer, and a fresh juice producer. The shopping center comprises 49,205 square feet leased to 10 tenants. Murrieta Square is a small shopping center in a residential community in Murrieta, CA, featuring Best Buy, Staples, Smart & Final and other retail and service oriented businesses. The shopping center is operated primarily by JL Management, with Best Buy controlling its own parcel. 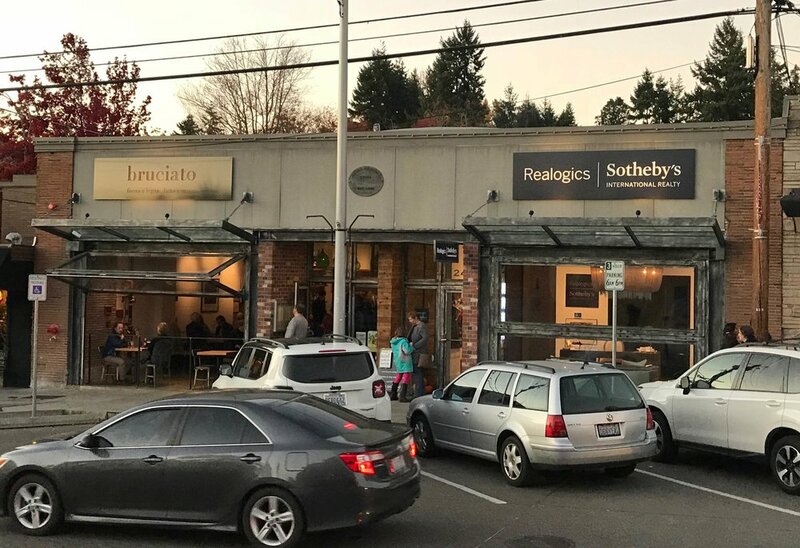 The Old Hardware Store is an historic landmark building on the main street of Bainbridge Island, featuring a premiere Seattle area restaurant, and Sotheby’s International. Thanks to direct ferry access to downtown Seattle, WA, and a resident population of 25,000, the newly renovated building enjoys tremendous foot traffic year-round. The building comprises 6,417 square feet leased to 2 tenants. Marshalltown is a small strip center in Marshalltown, IA, a community of 30,000 with established roots in construction tools manufacturing and a local community college. Featuring Domino's Pizza, Dunkin Donuts, and AT&T Wireless, the shopping center comprises 5,499 square feet leased to 3 tenants.